To help States and local agencies implement the systemic approach to safety, the Federal Highway Administration (FHWA) developed training and technical assistance including on-call support, noteworthy practices, and peer-to-peer assistance. The National Center for Rural Road Safety (Safety Center) will be hosting a FREE, 1.5 hour online training event. This Safety Center sponsored webinar will provide a background on the rural safety problem and how the systemic safety approach is used to help address these problems. Some examples of systemic safety applications will be summarized and non-engineering application discussed. An overview of the High Five Rural Traffic Safety Project administered through the Iowa Governor's Traffic Safety Bureau (GTSB), a non-engineering application, will be provided. This project uses 10 years of crash data and seat belt compliance data to determine annually which five rural counties will receive additional funding in order to increase enforcement, engineering, and education related to traffic safety in those counties. This webinar will discuss how the project works, its ongoing outcomes, and how to develop a similar program in your area. The FHWA Office of Safety hosted a Systemic Safety Webinar Series throughout 2015. The purpose of the webinar series was to highlight systemic safety noteworthy practices. Participants heard how State and local agencies have engaged partners, used analysis tools, and applied countermeasures to advance implementation of systemic safety efforts across the nation. Learn how agencies are engaging regional and local partners in the systemic safety analysis process. Mark Vizecky with the Minnesota Department of Transportation will share Minnesota’s successes and lessons learned engaging partners in the development of local road safety plans. Michelle May with the Ohio Department of Transportation will share Ohio’s experience engaging the MPOs and LTAPs in systemic activities. Richard Weeks with the Arizona Department of Transportation and Mazen Muradvich with Maricopa County will discuss the county’s involvement in Arizona’s systemic activities. Learn about data analysis tools and approaches agencies are using to conduct systemic safety analysis. Doug Bish of the Oregon Department of Transportation will present a concept on systemic safety analysis for pedestrian and bicycle safety. FHWA will sponsor two additional Systemic Safety Implementation Peer Exchanges in 2015 as part of the EDC-3 Data-Driven Safety Analysis Initiative. Learn about systemic safety treatments implemented by State and local agencies. Adam Weiser of the Delaware Department of Transportation will present examples of treatments, such as rumble strips, being used to address risk factors. Ryan Doyle of Lapeer County, Michigan will present their approach on fixed object removal. Nelda Buckley of the Kansas Department of Transportation will present information on its application of Safety Edge, clear zone initiatives, and pavement treatments. Learn how agencies are using innovative implementation and evaluation approaches to advance systemic safety efforts. Matthew Enders of the Washington State Department of Transportation will present a County Safety Program being used in the State to implement systemic safety projects. Robert Peterson of the California Department of Transportation will present the agency's approach for applying benefit-cost evaluation procedures to systemic projects. Jason Hershock of the Pennsylvania Department of Transportation will present an evaluation approach used to track the effectiveness of its systemic safety projects. This webinar provides overview information on the systemic safety approach along with information on how New York, Missouri, and Thurston County, Washington have used the process. An archived recording and presentation slides from this Webinar are now available at http://www.ruralsafety.umn.edu/events/selectiontool/. This webinar provided an overview of the Systemic Safety Project Selection tool and the potential application to address pedestrian safety issues. An archived recording and presentation slides from this Webinar are now available at http://www.pedbikeinfo.org/training/webinars_FHWA_052813.cfm. Peer exchange offers valuable insights and lessons learned through peers who detail their own experience implementing the systemic approach. Peers can address questions and concerns about adopting this approach and provide specific information on how it benefited their agency. At the peer exchange held in Columbus, OH in November 2014, 38 attendees from Federal, State and local agencies from Connecticut, Delaware, Iowa, Louisiana, Michigan, Ohio, and Pennsylvania shared their noteworthy practices and strategies as well as challenges and barriers experienced with the systemic approach to safety. Some of the key takeaways from the meeting included the importance of understanding the difference between systemic and systematic safety, and linking crash data and roadway data to develop systemic safety projects is a challenge. Some of the programs that were of interest to the group included Connecticut's use of a van to collect their own roadway inventory data; Louisiana's incorporation of roadway data into the crash analysis; and Pennsylvania's benefit/cost reports. At a Systemic Safety Peer Exchange held in Salt Lake City, UT in September 2014, 36 attendees from the Federal, State, and local level and representing Arizona, Kansas, Nevada, North Dakota, Oklahoma, Utah, and Washington were given opportunities to collect information from their peers to advance the implementation of systemic safety. Attendees identified several key takeaways including a funding exchange program that can be used by States to get safety funds to local agencies and avoid the rigorous requirements associated with federal funds; how to effectively advance systemic safety by involving locals, giving them guidance and training, and identifying funding; and how necessary it is to get elected officials on board with systemic safety. No upcoming peer exchanges. Check back regularly for information on upcoming events. Systemic safety training demonstrates how a combined approach of traditional and systemic analysis can achieve greater reductions in fatalities and serious injuries than either method alone. The training provides hands-on expertise that enables users to quickly implement the program. 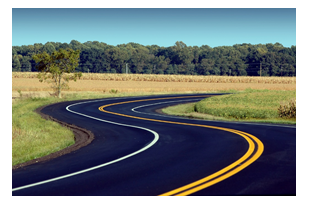 FHWA offers two training options, by request. A one-hour overview workshop provides an overview of the systemic approach and why it is beneficial. The training can be done via webinar or in person. If conducted in person, a meeting is held with agency staff to discuss options for advancing systemic safety implementation efforts. FHWA developed this training in response to concerns expressed by some State and local agencies about making investments on roadways with no crashes. The workshop provides concrete evidence of the benefits through the experiences of States and local agencies that have successfully implemented the systemic approach. The training also shows how the systemic approach, coupled with the traditional hot spot analysis, positively impacts problems occurring in rural communities and those involving vulnerable road users. A four-hour hands-on workshop provides more detailed information on how to conduct systemic safety analysis, where it should be used, and how to evaluate effectiveness. Case study exercises are used to highlight each of these elements. Washington State has successfully used this four-hour training to educate their local agencies on the systemic approach to safety in preparation for a Highway Safety Improvement Program (HSIP) solicitation. The two training options are designed to benefit State DOT executives and practitioners, local transportation agencies, and tribal agencies. For instance, the DOT chief engineer or head of planning, a mayor, or tribal chairman may benefit from the one-hour overview training. The four-hour workshop will be useful for safety engineers, planning offices, DOT districts, county engineers, public works directors, and tribal engineers and planners. Technical assistance is available in person, where over-the-shoulder analysis support is provided during the application of systemic safety analysis by an agency. Technical assistance is also available through on-call telephone support. The technical assistance is available as a stand-alone request following the four-hour hands on workshop where the instructor can guide an agency through the systemic safety analysis process. Other technical assistance is provided through noteworthy practices, peer-to-peer assistance, and webinars.